If you're a regular reader then I apologise that things have been very quiet on my blog for the past couple of months (and if you're a new reader,welcome!). 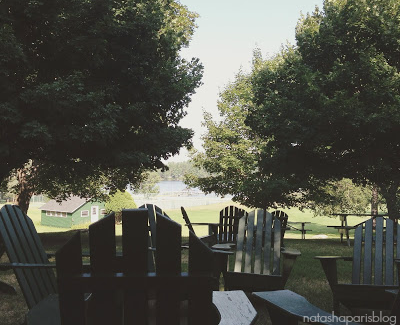 These past two months I've been working at a Summer camp in the USA as a Camp Counsellor. To be honest, until earlier this year I'd never even thought about working at a Summer camp (or even working abroad for that matter) but once I had planted the idea in my head I knew it was something that I had to try to do. As international staff I needed to apply through an agency as you need a visa sponsor. After doing some research online I decided to apply and go through CCUSA (who I'd like to give a huge shout out to for all the help and support they gave me throughout). Once I'd started filling out the online application, I then had a Skype interview with one of the CCUSA staff and a few days later I was told that I had been provisionally accepted onto the program *yay*. It was then time for me to pay my fees,send off for my police check, book my visa appointment and of course finish my application. Once my application was complete my application was then accessible to camps across America and it was time for me to play the waiting game. I remained unplaced for around 12 weeks (which at the time seemed like a lifetime) and I was starting to think that it just want to be. Then on 12th June I had a telephone interview with a camp and they hired me. The next few days were crazy for me as I was to fly out to the USA just 5 days later! I had a dual role at camp - I was an Activity Counsellor and also a Bunk Counsellor. I know that this will probably sound ridiculous (it did to me before I actually experienced it) but being a Summer Camp Counsellor was the hardest job I've ever had. Although at the same time it was also the most fun and rewarding job I've had too. My experience at Summer camp was crazy,fun and at times a little bit stressful (I'm not gonna lie). I've had a Summer filled with lots of laughter,love and a few tears. During the Summer I was lucky enough to meet some wonderful people from all over the world who I now can call friends. Personally I think I've come away from camp feeling much more confident and happier and I now have memories which will last me a lifetime... I'm already starting sentences with 'this one time at camp'..haha.